In September 2010, Apple introduced Ping, a social network for music on iTunes. Less than two years later, that iteration of Apple’s social dream is over: iTunes’ forthcoming update will eliminate Ping altogether. Not many people will miss it. When Ping was launched, Apple brass, which at the time still included the late Steve Jobs, seemed adamant about creating its own mode of sociality for Apple products instead of partnering with external (and overwhelmingly popular) platforms. But times change. Speaking during the May D10 conference, Apple’s CEO Tim Cook commented, rather matter-of-factly: “We tried Ping, and I think the customer voted and said, ‘This isn’t something that I want to put a lot of energy into.’” Then, during the June 11th Worldwide Developers Conference (held in San Francisco), official word came that Apple iOS software would now work with Facebook. Murmurs and whispers about the Apple/Facebook “hook-up” had been in the tech press for a long time, but it’s only just now happening. 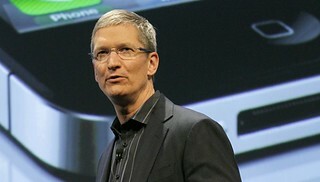 Apple did manage to connect its products with Twitter in June 2011.